A resident of Grovetown, Amanda grew up in Waynesboro, Georgia. She attended Georgia Military College and Augusta University earning a degree in Education. She has worked in sales for the past 12 years, with 3 years in the hospitality industry. She has been with Sherman and Hemstreet for two years in multi-family property management. 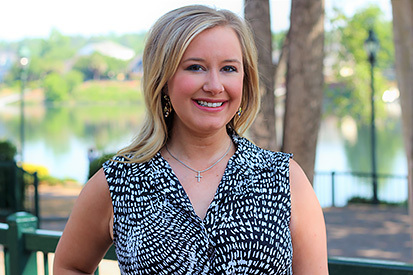 She loves being involved in the Augusta community, including the Augusta Metro Chamber of Commerce, and participating in various charity events in the area. She thrives off of meeting new people and making connections. In her spare time, you can find Amanda enjoying fine cuisine at local restaurants, enjoying concerts, and relaxing with her family, friends, boyfriend, John, and her two pets, Jax and Milo.